Is VAALBARA Earth’s First Supercontinent? We know that tectonic activity builds continents. But there’s still a heated debate whether or not continents existed as early as 3 billion years ago. There are no definitive answers yet when the first supercontinent emerged. 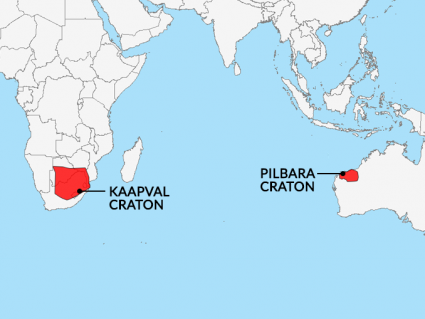 But we do have evidence the first cratons are now located in Western Australia and South Africa. This crust from the supercontinent Vaalbara dates back 2.7 to 3.6 billion years ago. The name Vaalbara comes from two cratons that were believed to be combined about 3.1 billions of years ago. First is the Kaapvaal craton which now exists in South African. 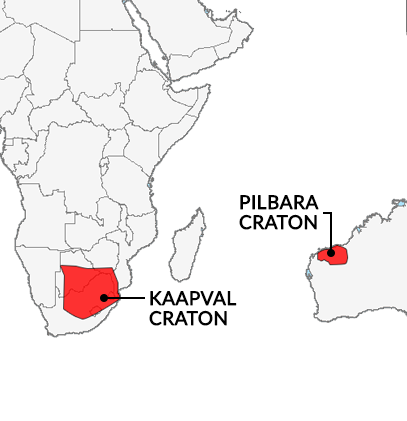 Next is the Pilbara craton which is now situated in West Australia. Hence, how the theorized supercontinent Vaalbara incorporates parts of these cratons in its name. So what is some of the evidence that supports Vaalbara as the first supercontinent? When did the supercontinental cycle begin? The evidence that Vaalbara was the first supercontinent is mainly based on their sedimentary sequences and their magnetic orientation. By analyzing the structural sediments of these two cratons in South Africa an Australia, scientists could look for resemblances. What they found was that not only do the sedimentary sequences show similarities on both cratons, but the geochronological and paleomagnetic studies resemble each other. By about 2.5 billion years ago, these land masses are believed to have torn apart from each other at divergent plates. 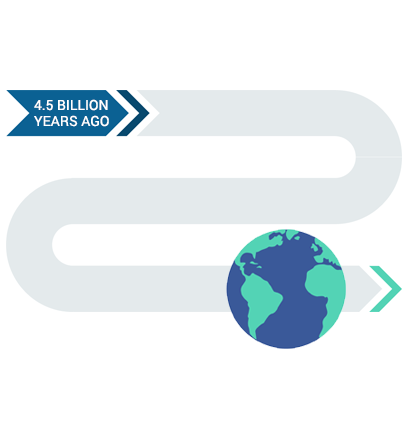 Their drift paths provide further evidence that they were once connected. In the early stages of Earth’s formation, heat flow was so intense it couldn’t provide the stability for continents to exist. Eventually, the Earth cooled down and this was a necessary step for continents to form. Because of the cooler climate in the Archean Eon, the lithosphere became more stable. Also because plate tectonics are necessary for building continents, this means tectonic activity was present in this eon. Earth’s crust cooled. And this allowed the formation of continents. This resonates with other major events like water basins to form.